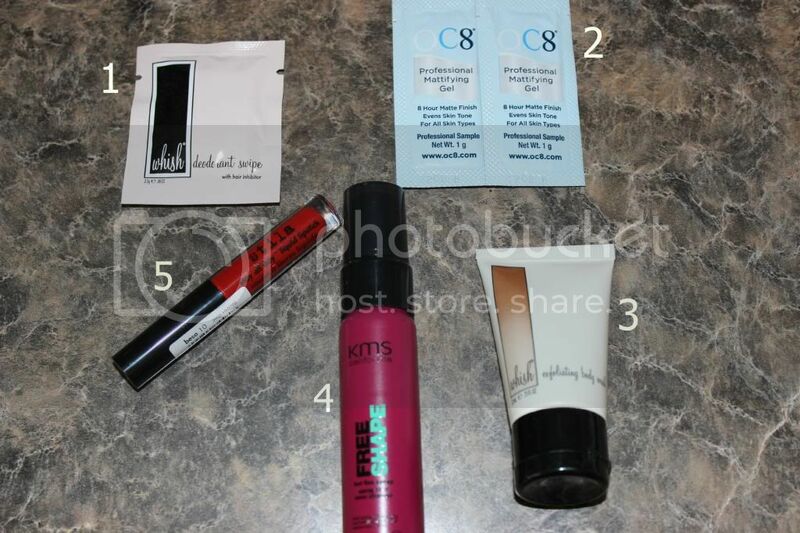 I got my August Birchbox and I am pretty happy with the products. I have either heard of or used virtually every brand that came in this month’s box, which is fine. I do love that Birchbox introduces me to new products, but I love when I get something from a brand that I know I enjoy. 1.) Whish Hair Inhibiting Deodorant Swipe – Such a neat sounding product! I absolutely loved the Shave Cream I received in another month’s box from Whish, so I was excited to see Whish again this month. I didn’t use this wipe as a replacement for my normal deodorant, but I used it after I took Baby K on a walk. I found the wipe extremely refreshing and I appreciated the extra help with keeping me smelling clean. The product says that it slows hair growth, but I’m not sure I can see results with just one use. I think I might have to purchase some more of these to keep in my gym bag – then I can see if the product really delivers! 2.) OC8 Professional Mattifying Gel – I am all about any product that helps combat shine on your face, I certainly haven’t been shy about my love for Mary Kay’s Foundation Primer. This product works pretty well, it definitely helped keep my face from getting extra shiny on a hot day. But I so love the Mary Kay product, I will probably be sticking with that one. 3.) Whish Exfoliating Body Wash – The smell of this body wash is amazing! It has a coconut smell that almost makes me want to eat it. I’m not the biggest fan of exfoliating body washes, but I liked this product. For those of you who use self tanners a lot, I bet this is the perfect product to prep your skin. 4.) KMS FREESHAPE Hot Flex Spray – Another cool product from a brand that I trust. This is a heat-activated spray that protects your hair against damage from heat styling products. I definitely have a love affair with my curling iron, so I will be adding this spray into my hair care routine. 5.) Stila All Day Liquid Lipstick – I wish I could say I have used this product, but with the very bold lip color I haven’t since my days consist of hanging out around the house with the occasional errand. But hopefully very soon I can test this product out and determine just how stay proof it really is. So there you go, a pretty good Birchbox if I say so myself. Have you tried any of these products before? 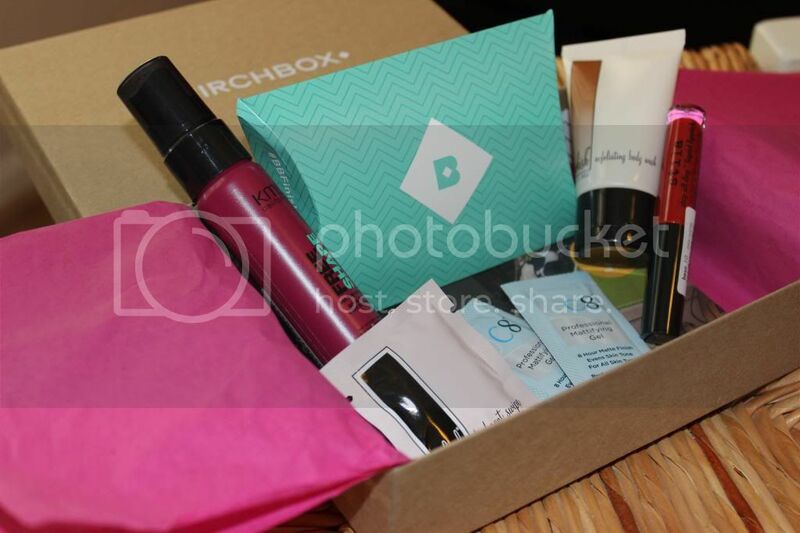 What did you get in your Birchbox? Leave me a comment below and let’s chat! 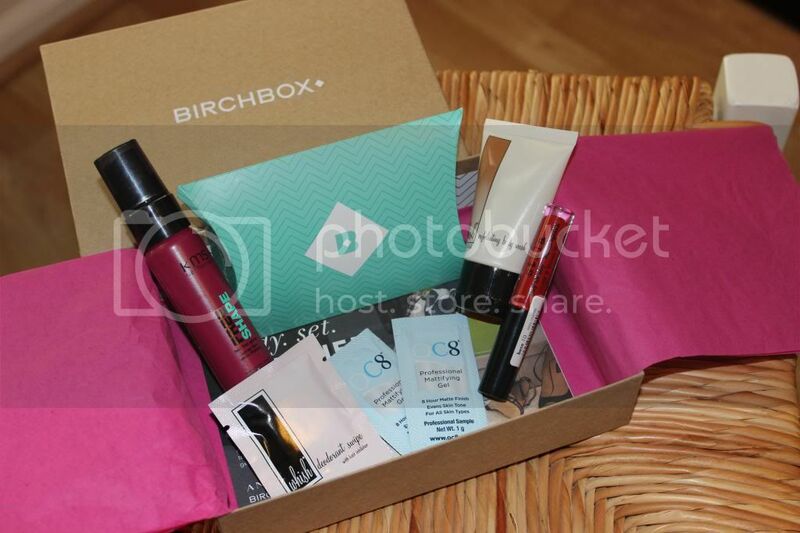 I've heard of the birchbox and always wondered exactly what it was and how it worked - definitely going to check it out. Oh I want to try that lipstick!